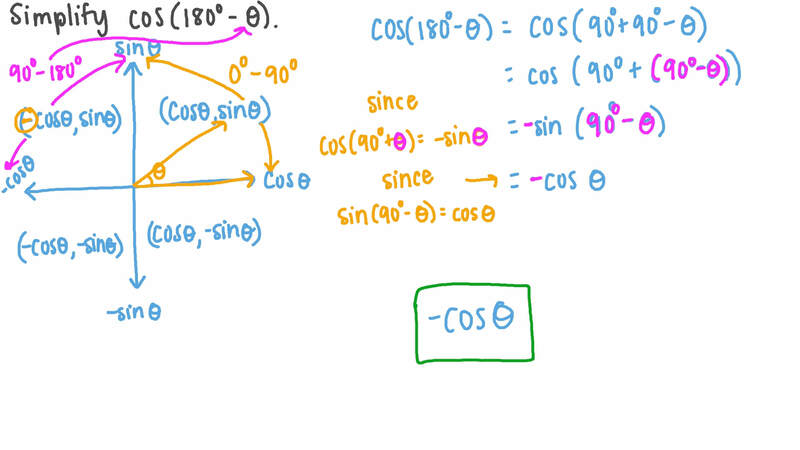 In this lesson, we will learn how to derive the amplitude, period, midline, and horizontal and vertical shifts of a trigonometric function from its equation. What is the maximum value of the function 𝑓 ( 𝑥 ) = 𝑎 ( 𝑏 ( 𝑥 − ℎ ) ) + 𝑘 s i n ? 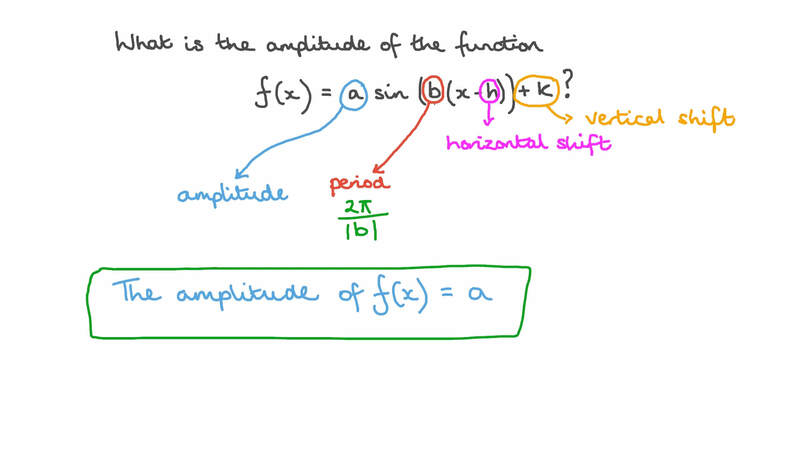 What is the amplitude of the function 𝑓 ( 𝑥 ) = 𝑎 ( 𝑏 ( 𝑥 − ℎ ) ) + 𝑘 s i n ? Simplify c o s ( 1 8 0 − 𝜃 ) ∘ . What is the midline of 𝑦 = 𝑥 s i n ? Which of the following is a graph of 𝑦 = ( 𝑥 ) + 2 s i n ? 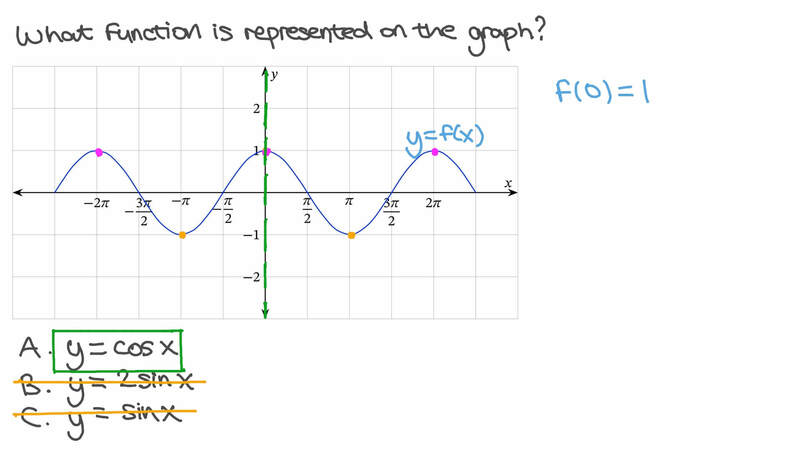 Which of the plots shown in the graph represents the tangent function? What is the amplitude of the function 𝑓 ( 𝑥 ) = 𝑎 ( 𝑏 𝑥 − 𝑐 ) + 𝑘 c o s ? Let 𝑓 ( 𝑥 ) = 2 𝑥 s i n . What is the smallest positive value of 𝑃 for which 𝑓 ( 𝑥 + 𝑃 ) = 𝑓 ( 𝑥 ) holds? Simplify s i n ( 1 8 0 − 𝜃 ) ∘ . Simplify s i n ( 3 6 0 − 𝜃 ) ∘ . The figure shows the graph of a periodic function. The height of the function’s midline was doubled. Which of the following is the graph of the resulting function?